An Electron app relies on a “master” Node process running in the background. This process spawns all the browser windows which are your actual user-facing application. An important note is that because this is just one process, it’s possible for it to get blocked, so heavy labor should be done in the browser processes. First, I initialize user settings with electron-settings which provides an API to update and check values. These persist in local storage between app quits. When Electron is ready, the app creates a tray icon. It also opens a hidden browser window pointing to the main tray window. When the tray icon is clicked, that hidden window is toggled on and off; it’s a bit jQuery-like tbh. In order to start the typing animation, whenever I make a tray window visible, I use an Electron-specific API to send a message to window process to open-tray. This was completely unnecessary complexity, but I am really attached to the typing animation! When the user turns on the breaks feature, a 20-minute interval starts. This interval triggers the breaks feature to start. The breaks feature makes visible a tray window and a white-out over the whole screen, then hides them after 30 seconds. During the break, I register a temporary global shortcut to let the “Escape” key skip it. A Typewriter component built around the react-typist library to create the typing animation; my wrapper makes it possible to chain multiple typing components together that start one-after-the-other. A Main route using Tray that manages settings, and a Breaks route that uses Tray to display a friendly reminder. A WhiteOut component that makes one 100% height and width div to span the entire screen. When the start-break message is received, I add toggle an inline animation style to restart the fade-in. This is paired with the Breaks route and appears/disappears at the same time. There are a few great libraries like electron-builder that you can use to turn an Electron app into a .dmg or .exe file. I found it tricky to do this with React, which has a build process of its own, and especially with Create React App, which abstracts away a lot of Webpack/Babel configuration. I followed this guide and made a few adjustments to let me use Create React App and keep my Electron code separated; I really didn’t want to put my Electron files in the public directory as suggested by the guide. This is my build process in package.json. First, I build the React app into the build directory. Then, I copy my Electron files directly into public. Finally, I run electron-builder, which is configured to look at build. It spits out OS images in a separate dist directory. I also built a website for Raccoon! I used Gatsby, a new React framework for building static progressive web apps. It uses GraphQL to pull in the latest release from raccoon on GitHub and displays some copy from a headless CMS called Prismic. 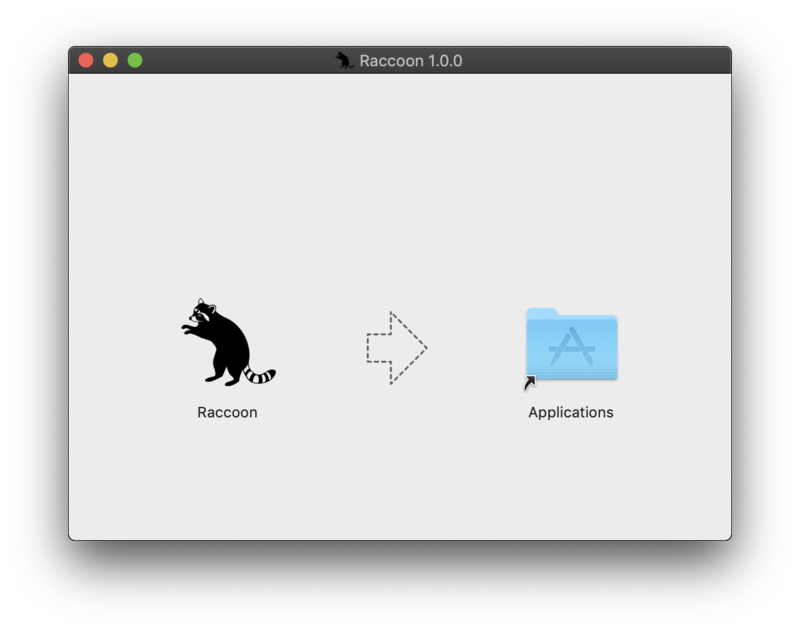 Raccoon is one of the most complicated apps I’ve built yet. It’s largely because it’s effectively two apps, a “server” and a “client”, that are tightly interwoven and constantly communicate with each other. So while the end result is very straightforward, it took a lot of work to connect all the little pieces and even to get it built and packed as a Mac app! Next, I’m going to add calendar support to perform the same kind of “forceful reminder” when you have a meeting. I’m also going to try expanding support to Windows and Linux. Give it a try and if you have feedback or ideas, let me know on Twitter!